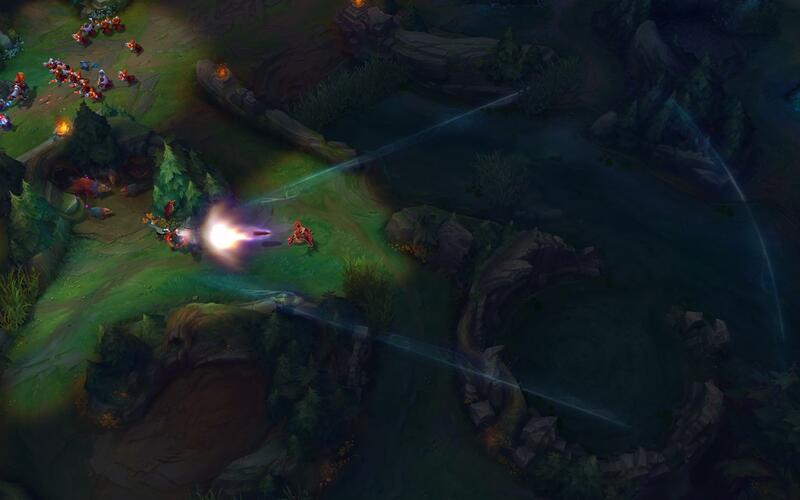 Â [ Note ] Mordekaiser’s [ W ] received substantial changes in this PBE update. Check out the four Academy skins, Arcade Riven, Battle Boss Blitzcrank, the updates toÂ Darius,Â Mordekaiser, Garen and Skarner, as well as the Armor & MR item changes and the two new items â€“Â Titanic Hydra andÂ Sterakâ€™s Gage! Since you guys are talking about me by name, I figured I would jump in here. Second, we do agree that there has been a drop off in Rioters out here on the Boards and Reddit trying to have a conversation with you all, and that is something we are trying to improve, to get back closer to the good old days. Part of what originally attracted me to Riot was having so many Rioters out there talking to players. In the interim, that has put more pressure on those of us (I’d call out myself, Meddler and Lyte just to name a few on the design side) who are out here still trying to engage. Boards and Reddit, to be frank, take a lot of time to scan, read, sort through and answer. It’s not so bad when there are a lot of us, but it can get overwhelming quickly as I am sure you can attest. The conversations move fast. A lot of them are just discussions or debates between players, which are informative for us to observe, but not really our place to step in and disrupt a conversation that should really 90% of the time be among players. That’s not intended to be an excuse, but it’s a reality that we are struggling with. I am personally experimenting with some other ways to reach out to players and answer questions that have a better signal to noise ratio. You can hit me up on twitter at @OccupyGStreet or ask.fm/RiotGhostcrawler. At least I know those conversations are directed towards me and I can feel free to intrude upon them. It’s also a little easier to reach players in regions besides NA that way. Again, not intended to be a permanent solution, but something I’m trying in the short term. I believe those are the changes for 5.14, though I don’t have the patch notes to hand at the moment so there might be something small I’m forgetting. While there are only a few lines of change there I do think we’ll see some substantial improvement in Elise’s performance. The stun increase in particular is a pretty substantial buff, increasing stun duration by 60% for the majority of the game (Elise, even with the current E rank ups, still tends to max E last, so has rank one E until level 14). Overall we’re pretty happy with the ward limit per person. There’s a limit to how much vision we think’s right for the game (FOW’s there for a reason), so the limit per player’s allowed us to offer vision in other ways. Trinkets in particular we’re really happy with – they generate some interesting gameplay. It’s also put supports in a much more interesting spot, where they’re able to invest in items rather than being forced to sink anywhere near as much money into vision. Something that is a bit of barrier to appropriate trinket use though for some players is that they’re put off by the upgrade cost. We’re planning to test removing the gold cost for the upgraded versions in the preseason as a result, find out if that has a good effect on the game. You should pretty much always be upgrading them as is, so it’s a change that’s got the potential to help players that aren’t appreciating the vision system yet engage with it more. At the same time it would also free up a bit of gold for players that are buying the upgrades at present. After anÂ extended stay on the PBE, weâ€™re pushing the HUD update out to the live servers alongside patch 5.14! Check out the HUD update micrositeÂ for the full story, but if youâ€™re already familiar with the initial changes and just want to know whatâ€™s changed since the new HUD hit the PBE, then read on! Teammate ult timers â€“ weâ€™ve added in timers that indicate when your allies can use their ults! Before the update, this was just represented by a binary green light, but youâ€™ll see the ult timers fill up with the update, meaning you can more accurately figure out when itâ€™s time to wombo. Teammate summoner spell timers – hit the tab key at any point and youâ€™ll see if your allies can use their spells, and, if not, how long until they can. Teammate mana bars have returned â€“ we left out allied mana bars with the update, thinking they werenâ€™t super important. We were wrong, you guys let us know, and theyâ€™re back in now. Persistence – if you open champion stats or latency display during a game, itâ€™ll persist between matches. Level up ceremony â€“ we added a bunch of animations and sounds to make sure you know when you ding. Spellbar clarity – made some pretty hefty changes to the shape, color, and animation of cooldown, loss of control and out of mana to improve readability. Minimap changes – game time feels like it belongs near the minimap because timing is usually related to map objectives, but ultimately playtests and feedback have shown itâ€™s a more natural fit in the top corner. Visual style â€“ weâ€™re all for minimal, but we may have overshot it. Weâ€™ve since tried to squeeze in more magic through texture work and animation. Accessibility – added camera lock and options buttons back in. Weâ€™re planning on rolling the HUD update over to live with patch 5.14. Weâ€™ll target non-ranked queues first to make sure nothing goes boom, then, if weâ€™re ship-shape, add the update to ranked a few days later. Weâ€™re super excited to get the new HUD out to you guys! Let us know your thoughts in the comments below. Through past seasons we have been dedicated to the detection and punishment of players who have been involved in MMR Boosting in one way or another. Over the past seven months the Player Support Player Behavior team and Risk team have been working together on vast improvements to our detection methods to ensure even more of a strain is put on Boosters and those they are boosting. Now after months of hard work and dedication we are able to aggressively go after players who have participated in MMR Boosting. Over the following weeks we will be rolling out MMR Boosting punishments to over 70,000 players who have had their accounts boosted in the 2015 season. These 70,000 are not the only ones who will receive MMR Boosting punishments this season; starting today we will be rolling out normal ban waves punishing anyone who has had their account boosted this season. If you have any questions or concerns regarding MMR Boosting or the punishments please share them in the comments, I and members of the Risk team will be here to answer them. Please remember the Boards rules on naming and shaming, if you feel a player is involved in MMR Boosting in any way please do not post your report here. You can send a report in through a support ticket and we will begin investigation. I think that going into detail here would reveal a little too much information behind our detection method. That being said, we go through extensive audits to ensure accuracy and look at a variety of factors, not just one or two things. Exactly this. We do not punish players for playing games (ranked or otherwise) with their friends. Sharing an account is never okay. While sharing an account for only normal games would not result in an MMR Boosting punishment, it can still be punished for Account Sharing violations. Using a VPN will never result in a MMR Boosting suspension, nor will playing from a friends house. We know players like to play from locations other than home all the time. Our methods take this into consideration. The last thing we want to do is punish someone for hanging out with friends or family. There is no guessing or blind firing of bans involved. Before we ban anyone, their account goes through a rigorous investigation process in order to ensure we only punish players who were actually participating in MMR Boosting. If there is even the slightest doubt that a player may not have been boosted we will refrain from punishing them. Simply going on a win streak will not get you punished for MMR Boosting. We understand that players may go on win streak, try new builds and playstyles. The only time we punish anyone is if we detect someone else was playing ranked games on their account. I think there might be a little bit of confusion here on what boosting and smurfing is — boosting is sharing your credentials with someone else with the intent of them playing on your account to raise your rank up. Smurfing is something that has come to mean creating an alt account and playing. If a case is brought to our attention and confirmed that it has not actually been boosted, but was detected for boosting, we will take a look and see what caused it to be flagged and adjust the system accordingly. 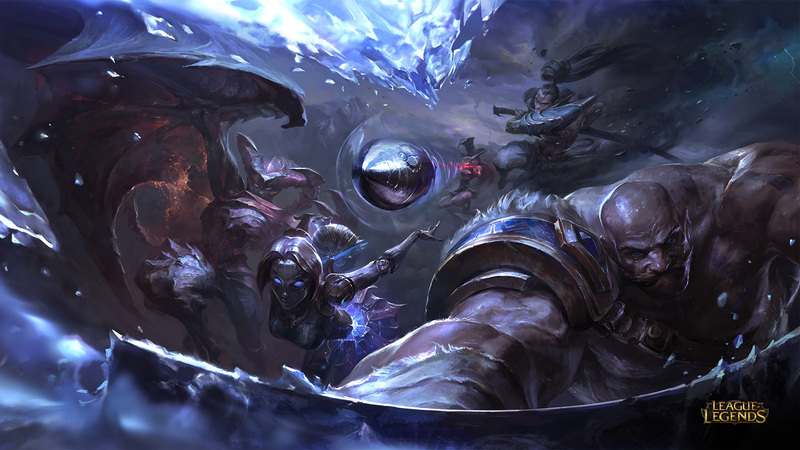 This wave of punishments are going to hit players from the NA, EUW and EUNE servers. Yes, the punishments are the same for both Boosters and the Boosted. Any competitive rulings against pros/teams are made by Riot E-Sports. That being said, if anyone is caught being involved in MMR Boosting they will receive a punishment on their account, even pro players. Accounts that have been suspended will receive an email informing them of the suspension as well as the punishments that have been placed on the account.